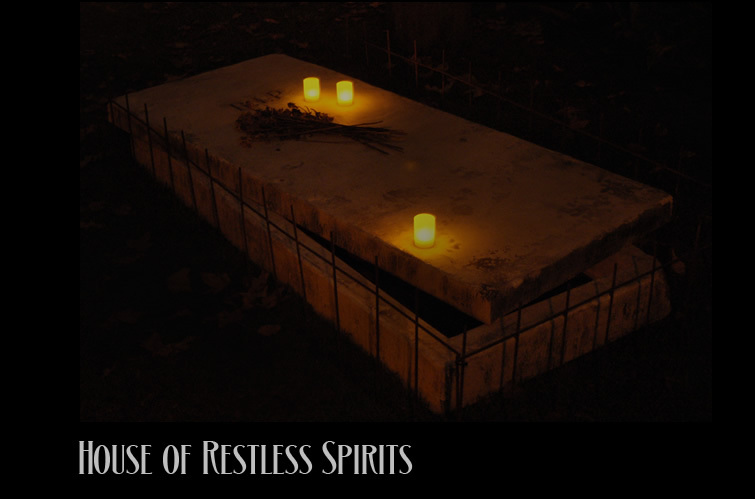 Perhaps it is a bit of hyperbole to say that the Halloween community was devastated by the demise of the House of Restless Spirits in October. Nevertheless, the abrupt cancellation, less than two weeks before Halloween Night, was profoundly disappointing to fans who had come to love the the amateur attraction's annual manifestations of "supernatural" phenomena both subtle and imaginative. No chainsaws or jump-scares here, no actors in makeup and costume leaping from around corners. Instead, House of Restless Spirits offered a slow and deliberate tour around a neighborhood property filled with inexplicable paranormal activity: ectoplasmic emanations from an upper story window; phantom footsteps approaching a front gate, which then was rattled by an unseen hand; a ghostly face appearing beneath the surface of water in a barrel; shadows of unseen figures moving on the walls; a ghostly girl materializing in front of her portrait, while the math equation written on a chalkboard rearranged into the words, "I'm here"; a ghostly skeleton rising from his grave to extinguish a candle with a single breath; a transparent feline glimpsed upon the roof; a statue reciting Emily Dicksinson's "I Could Not Stop for Death"; and a strange sundial with the shadows of time racing across it surface even at night. The technical trickery required to create these illusions must have been intricate, but even more impressive was the artful presentation. There was a cumulative impact from encountering the Restless Spirits one by one during a slow trek around the house; patience and vigilance were rewarded with sights unseen by less diligent eyes. By the time a visitor emerged from the back yard and regained the sidewalk, he or she was likely to feel that the House of Restless Spirits, though a simulacrum, was at least as remarkable as the real thing. Why, then, did the House of Restless Spirits not materialize this October? The explanation is a familiar one, which has exorcised the spirits from many homes: neighbors. The face of the former owner - a captain lost at sea - appears beneath the surface of water in a barrel. It's always sad when a neighborhood haunt disappears, but that is in the nature of the phenomenon. Haunters grow up or grow old; they move or retire; sometimes, after years of hard work, they simply feel entitled to the same joy the rest of us experience on Halloween Night, and so they board up windows to keep their ghosts trapped inside, while they venture out into the autumn evening, joining excited trick-or-treaters in a quest for the ghoulies and ghosties that go bump in other people's homes. We may be disappointed by the haunter's decision, but we cannot begrudge them. At least we can take solace in the new yard haunts that manifest every year. A forced closure, however, is something different - something that goes beyond our disappointment at losing a favorite haunt. 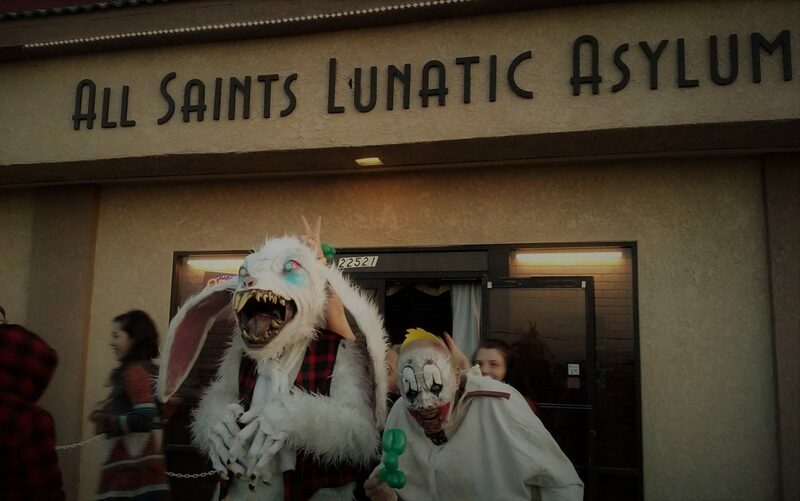 Yard haunts - whether simple displays or elaborate walk-through terror-tours - are almost a form of contemporary folk art. Home haunting may not be as primitive as knitting a blanket or molding a clay mug, but it is art on a community level, made by and for locals, based on shared cultural standards, and outside the commercial realm. It is amateur art in the finest meaning of the term - made not for profit but for the love of artistry itself. Art of this kind is a form of benevolent generosity, bestowed upon the fortunate receivers with no thought of recompense except appreciation and, where warranted, admiration. In a way, this is the ideal of what art should be, pure and untainted by the compromise that ensues from profit motivations. It is the kind of art that makes the world a better place, one small neighborhood at a time. Such art may not cure cancer or end hunger, but it makes those endeavors more worthwhile because it makes life more worth living. We live in a world of mass-produced art, a world where doing your own thing is almost passe. Yes, you could sing your own song, recite your own poem, or stage your own play, but who is going to notice, when your voice is inevitably drowned out by the deluge of easily accessible entertainment options available today? While you perform to empty seats in a local theatre, your potential audience will be buying tickets to the latest movie, downloading the latest songs, or simply watching cable/satellite/internet 24-7. On at least one night of the year, however, a local artist can depend upon an audience to show up: on October 31, trick-or-treaters will come, and they do not care whether your yard haunt measures up to Knotts Scary Farm; they will simply enjoy what you have given so freely of yourself. 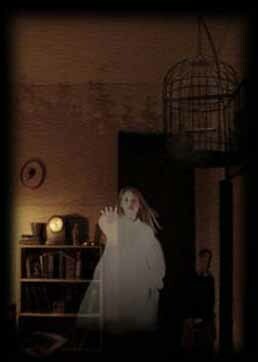 A ghostly young girl, glimpsed through a window in the House of Restless Spirits. We also live in a world of avarice and greed, where one political school of thought holds that 47% of the population are leeches who want something for nothing. From this perspective, generosity is not a virtue but a vestige of sentimentality that needs to be discarded lest it encourage the "takers" to continue their lazy ways. In such a world, doing hard work for the benefit of others, instead of for material gain, may not quite be a radical act, but it certainly deserves to be applauded and encouraged. Most emphatically, it should not be discouraged simply because, in some cases, it may be an inconvenience and a nuisance. Yes, I know you have good reasons for objecting to the yard haunt next door to your home. There is construction in the weeks preceding Halloween Night. There are noises - music and sound effects - when you would like a little quiet. There are crowds of strangers milling on the sidewalk, sometimes trespassing onto your property, trampling your flower beds and even leaving beer cans in your yard. All of these concerns are genuine. However, these concerns can be dealt with, and the home haunter next to you will certainly do so, if you ask. Construction can take place during work hours, when you are not home. Music can be shut off at a decent hour. Crowds can be controlled with simple security measures (sometimes as simply as having someone in a shirt labeled "Security" walk along the que line). In the face of concerns that are real but resolvable, one must balance the impact of terminating a home haunt. This may seem trivial - so what if a few costumed kids see one less decorated yard? - but just as extinguishing a single candle diminishes the total light in the world, so does closing a home haunt deplete the sum total of joy that Halloween can bestow. From a detached point of view, the impact may seem small, but at the local level - where it counts - the loss deprives a faithful audience of the artistry they would have seen and of the memories they would have retained. Creation is difficult and time-consuming; it takes skill and diligence, craftsmanship and inspiration. Destruction - or in this case, obstruction - is easy; all it takes is a little intransigence, a reluctance to acknowledge the benefits to your community of something that does not appeal to you personally. Not all of us can be creative geniuses, but all of us can decide whether we want our homes, our neighborhoods, our communities, our cities, our nations, and our world to be a better place or a worse place. We may not have much influence on the big picture, but we certainly can make a difference close to home. Dear Neighbors, I am asking not for capitulation but for negotiation. You deserve consideration, too. But at the same time, try to make your neighborhood a better place; or at least, do not stand in the way of the home haunters who are trying to do their part. When you shutter a haunted house, you injure not only the haunter but the haunted as well. Isn't it better to light a candle than to curse the dark spirits next door? 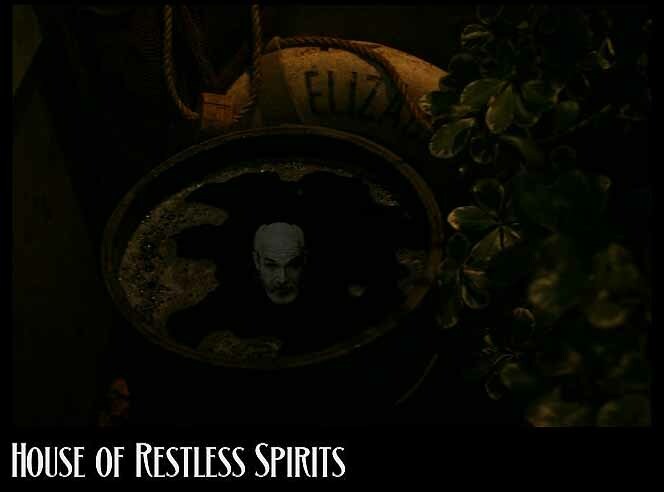 The House of Restless Spirits was located on Euclid Street in Santa Monica. It's website is: www.houseofrestlessspirits.com.